American Idol is a reality television competition to find new solo singing talent. Part of the Idol franchise, it was created by Simon Fuller as a spin-off from the British show Pop Idol. Debuting on June 11, 2002, as American Idol: The Search for a Superstar on the Fox network, the show has since become one of the most popular in the history of American television. As of January 2011 it is the most-watched TV series in the Nielsen ratings and is the only program to have been number one for an unprecedented six consecutive seasons, surpassing All in the Family and The Cosby Show, which were both number one for five consecutive seasons. 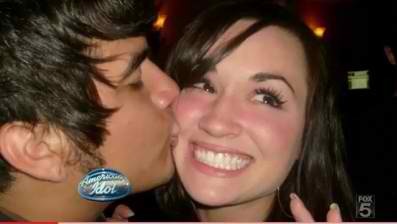 I have been watching American Idol for a couple of years already and it has become one of my favorite television show. 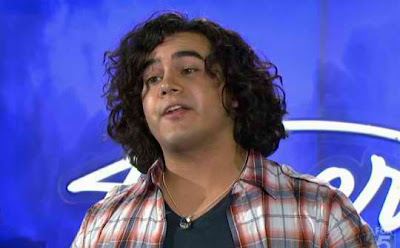 In one of the episode this week of the American Idol Season 10 Audition in Milwaukee, the story of Chris Medina, one of the contestant touched my heart and made me cry. It was a story of REAL LOVE, the love that we've all been looking for ~ UNCONDITIONAL LOVE ! REAL LOVE is caring about the happiness of another person without any thought for what we might get for ourselves. It has the power to heal all wounds, bind people together, and create relationships quite beyond our present capacity to imagine. It gives us a feeling of genuine happiness. Juliana Ramos was injured in a serious car accident on October 2, 2009 while driving home from work. She suffered a severe skull fracture, a traumatic brain injury (TBI), and multiple fractures to her beautiful face. 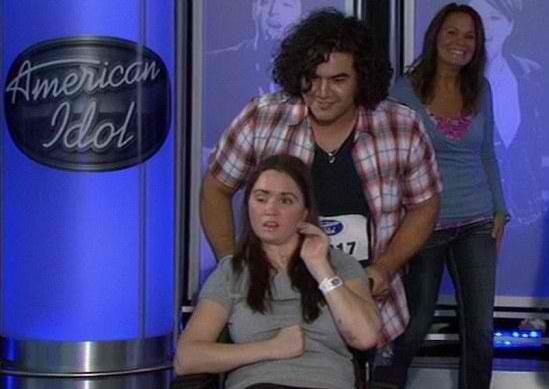 The Chris Medina story is a beautiful story of Unconditional Love for his fiance, Juliana Ramos. An inspiration for everybody. Chris and his girlfriend, Juliana got engaged two years ago. Unfortunately, in October, 2009, his fiance met a car accident that left her paralyzed, severely brain damaged and with multiple fractures to her face. Chris stayed with her through thick and thin and he is her caregiver. The wedding was on hold due to her health condition and rising medical costs. Chris is a true man who demonstrated a true commitment to his partner. I wonder how many men are like Chris and will do the same thing for their girlfriend or love ones. The judges (Steven Tyler, Jennifer Lopez and Randy Jackson) requested him to bring Juliana inside the room to meet her and gave Chris his gold ticket to Hollywood. You are one hell of'a good man!